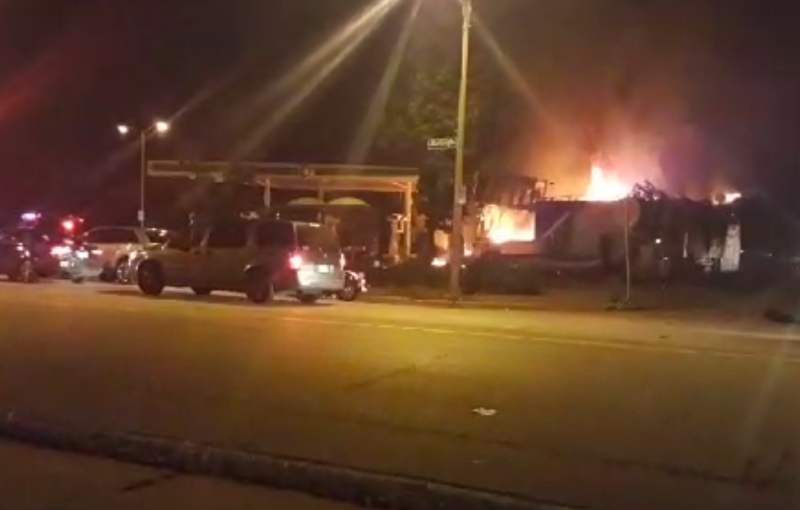 News outlets in Milwaukee are reporting fires and other violence in the city tonight after a police officer fatally shot a 23-year-old man fleeing a traffic stop Saturday afternoon. According to the Milwaukee Journal Sentinel, police say that the dead man was carrying a stolen handgun. The shooting occurred about one block northwest of the scene of a Friday evening homicide, and about four blocks west of a Saturday morning double homicide. Five people died in shooting-related homicides during a nine-hour stretch in the city on Friday night and Saturday morning. At one point, the officers got in their cars to leave and some in the crowd started smashing the windows and side of a squad car. Another vehicle was set on fire. As officers returned to the scene, this time many more in riot gear, as many as seven could be heard about 8:45 to 9 p.m. The shots appeared to be fired in the air by someone in the crowd. According to the newspaper, the crowd also chased reporters and a photographer, attacking one of them, and set a gas station on fire. A police officer was reportedly hospitalized after being hit by a brick. 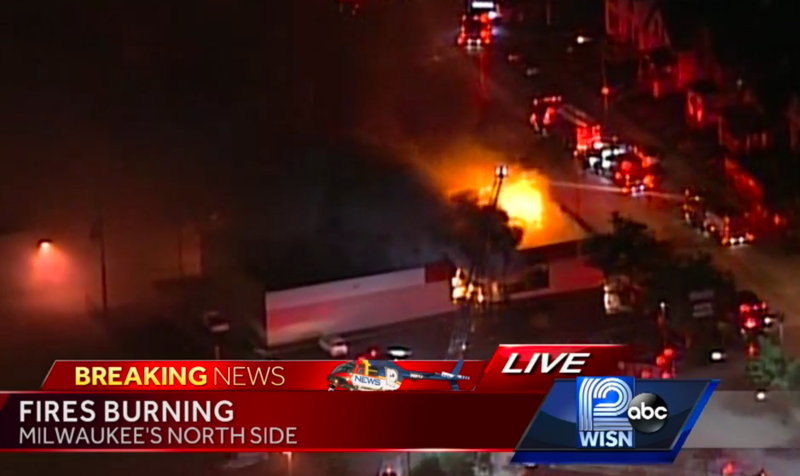 Local television is reporting that an auto-parts store and a beauty-supply store are also burning. The violence erupted not long after a woman who identified herself as family member of the dead man implored the people to leave the scene. “We don’t want anyone else to go to jail or get hurt,” she told the crowd. Live local news coverage can be found here.